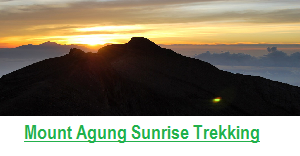 Firstly, when I experienced myself at the time I climbed Rinjani mountain I felt so difficult to do it. 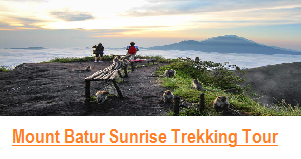 It is really different for the second chance of hiking up Bali’s Gunung Agung as the biggest mount in Bali. It was easier than it used to be and the most physically demanding energy activity I had ever done. And while this was my second effort (the first was unsuccessful as someone in our group was not able to go on), I still wasn’t as prepared as I could have been. Other climbers I saw on the day were not prepared at all. While this isn’t a technical climb, it is a difficult one and you’ll make it a little easier for yourself by keeping the following points in mind. Mt. Agung is the holiest active volcano on Bali Island. Most of the Balinese people in Bali believe that Mount Agung as a symbol of prosperity for them and the nature. It constitutes a secret place and has a super natural power. So, please treat it with the respect it deserves. This phenomenon can be witnessed that just about every house and building on the island has a shrine for daily offerings to Agung volcano. It constitutes part of their culture and tradition. They do ritual ceremony all days. In conclusion, this is a highly revered site. 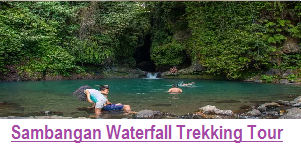 Gunung Agung possesses two main trekking routes. 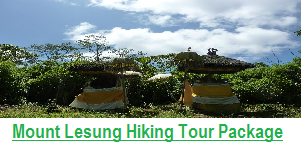 The more popular one leaves from Pura Pasar Agung and leads to the crater rim, which is 2,866 metres above sea level. The less popular (and apparently even more difficult route) leaves from Pura Besakih and leads right to the absolute summit at 3,031 metres. 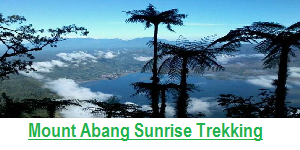 While everything I had read indicated you had to leave from Besakih to reach the true summit, I saw a group on the day I climbed who started from Pasar Agung but then branched off to reach the summit. For more detailed information, please talk to your guide concerning this. Regardless the route that you choose, the summit offers complete 360 degree views of Bali, while the crater rim has mainly views of south and eastern Bali. The summit trek is considerably more challenging. On the day of my climb there were about 30 people at the crater rim and just four at the summit. 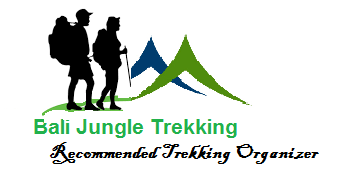 Please see Bali Jungle Trekking Company for detailed write-ups on Agung trekking routes. You need to look carefully and you can see a solitary climber at the true summit. It is necessary for you to have some degree of fitness to go to the real summit. I was not the fittest guy on the block and was carrying a few kilos I didn’t need, yet I could manage it. However, if you are not fit at all then you should carefully consider the things below for your preparation. How are you usually with heights? This is really important as several parts of the climbing routes are extremely steep. When you go climbing up at night-time it is even much more difficult to imagine just how steep the surrounding area are. Then in the daylight, on the way down, the steepness of the slope is really obvious. If you have serious troubles with heights, you have to kindly consider that this challenging activity is not suitable for you to do. 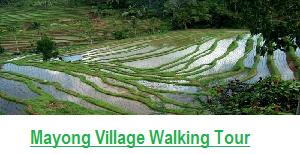 Actually you can go to start the trek from one of the centers in southern parts of Bali Island. However, most options are to leave from Sidemen, which has the best range of accommodation within an hour of the slopes. Some trekkers choose to stay in Selat, which is about 20 minutes closer, but I would happily go further the 20 minutes for the extra comfort in Sidemen. If you start leaving from Sidemen, you should leave at about 01:00 to start climbing at 02:00. That means that you hit the sack at 19:00, to give you a solid five hours sleep before the climbing trip.